Our plumbing company is proud to offer efficient plumbing, bathroom remodeling, and HVAC services to the homes and businesses of Greenfield, Indiana and the surrounding areas. At Serenity Plumbing, our staff understands that it can be hard to tackle these types of projects on your own, so we are here to meet all of your repair, maintenance, and installation needs. Whether you are interested in remodeling the bathrooms in your home or are looking for commercial plumbing repair in the middle of the night, our staff can help you. We do plumbing services for homes and businesses, as well as residential HVAC work and bathroom remodeling services. Our staff is based in Greenfield, IN, and provides excellent services at a price that is hard to beat. Our owner decided to start this business to offer affordable services to the community. We feature a staff that has nearly 20 years of both union and non-union experience providing HVAC and plumbing services. 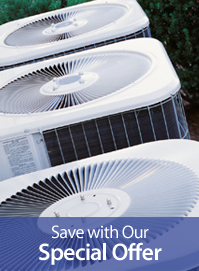 Our staff is known for working hard and making sure you are satisfied with our installations and services.